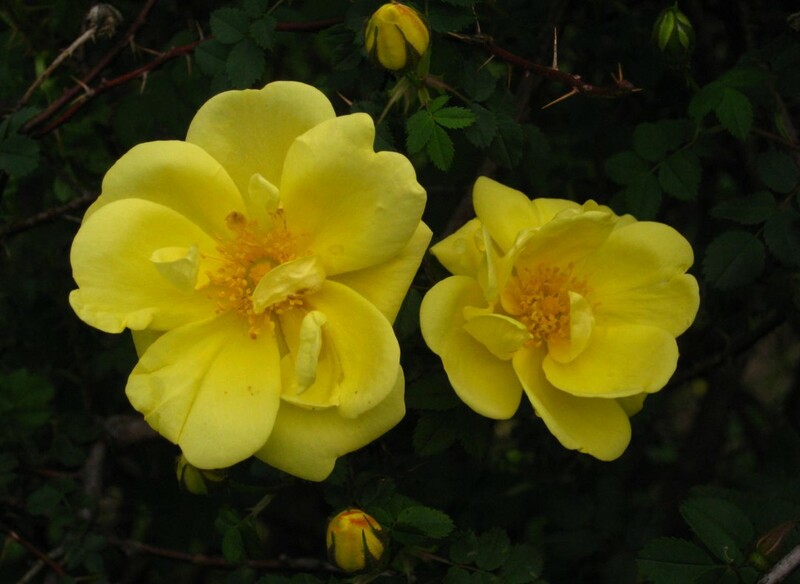 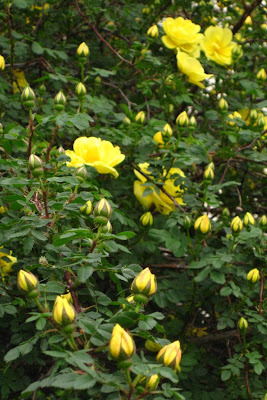 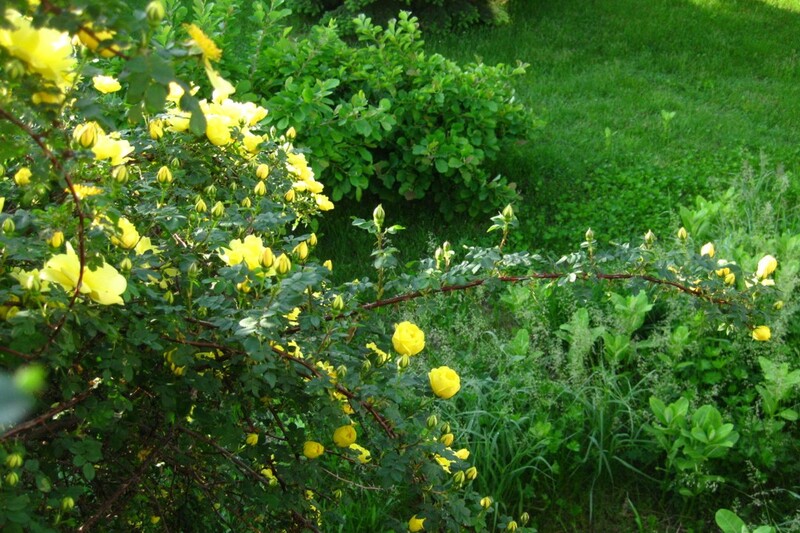 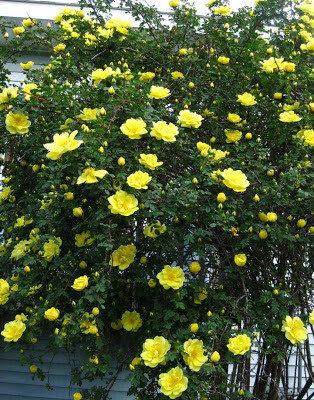 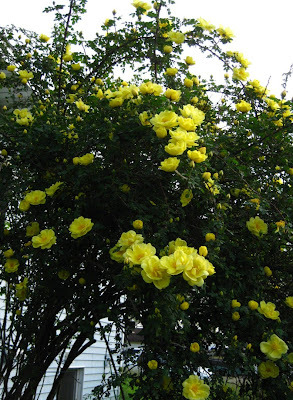 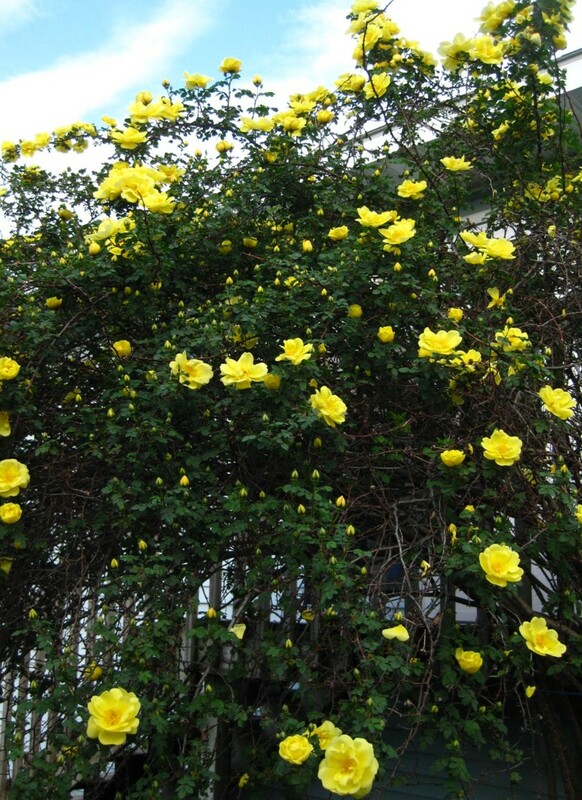 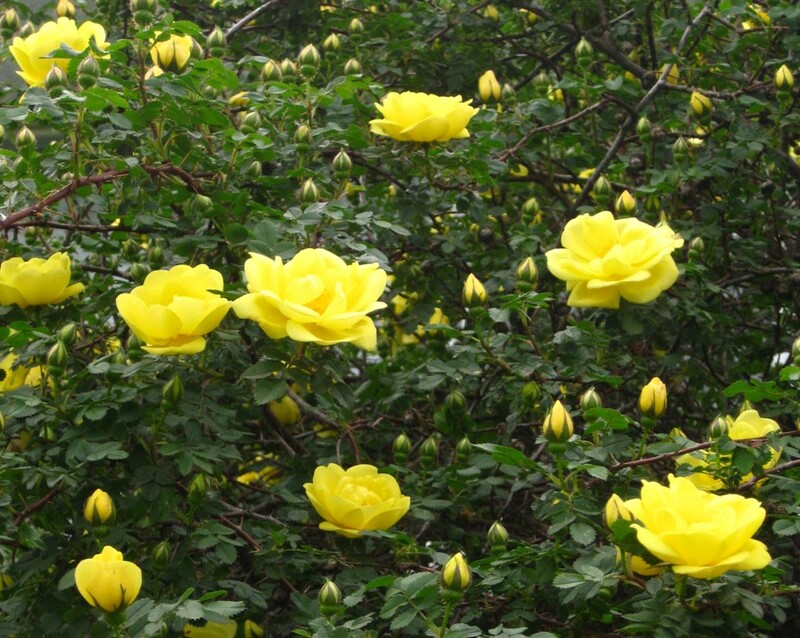 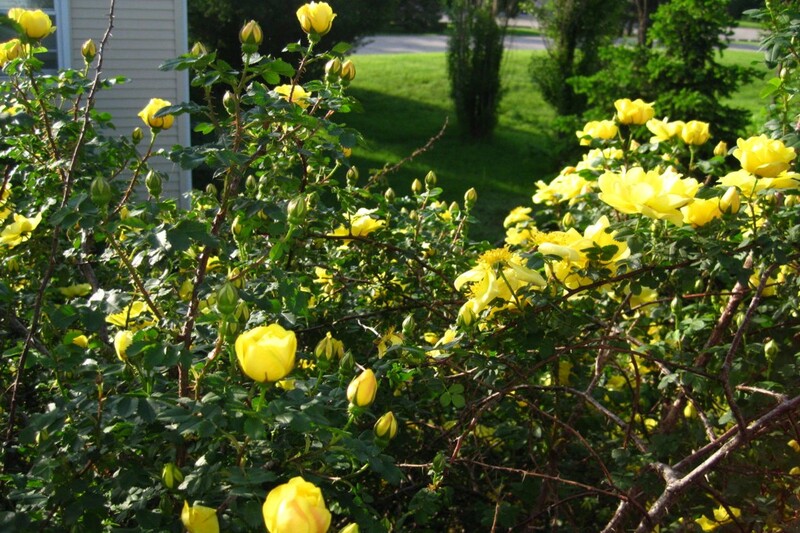 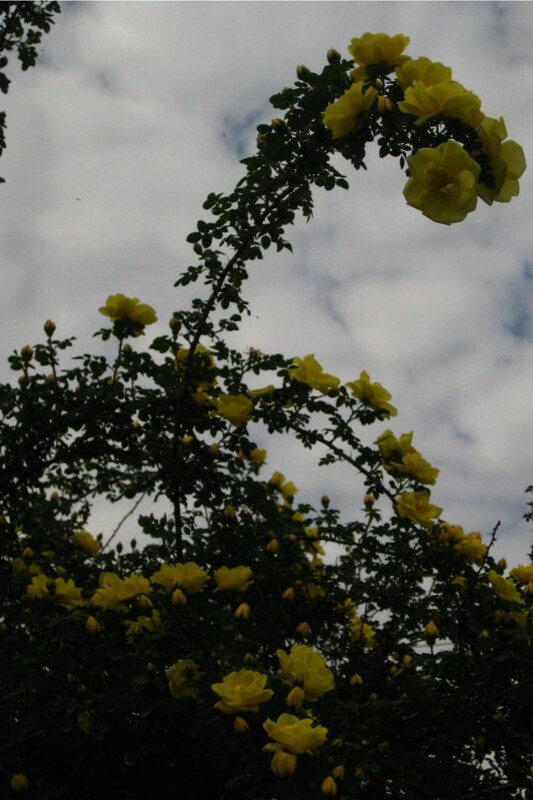 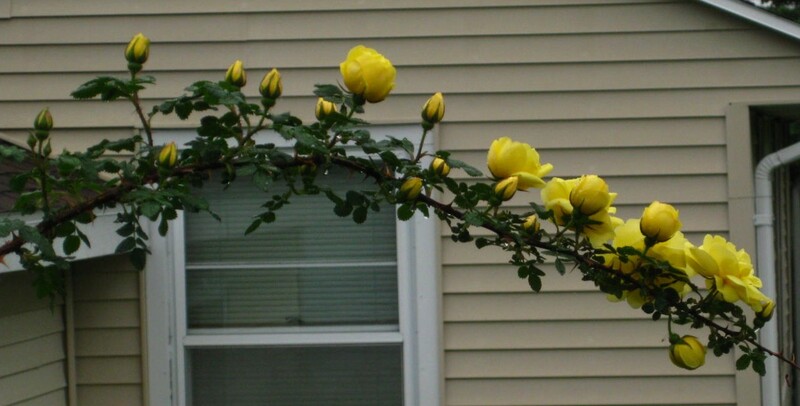 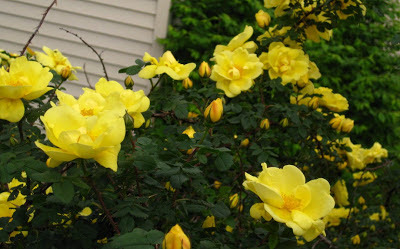 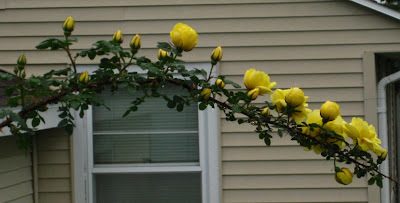 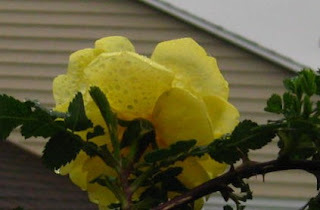 The photos are of a climbing rose bush that grows up the side of my east porch. 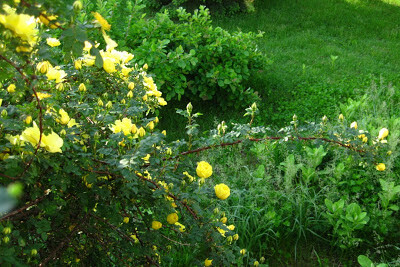 It is about 8 feet high now. 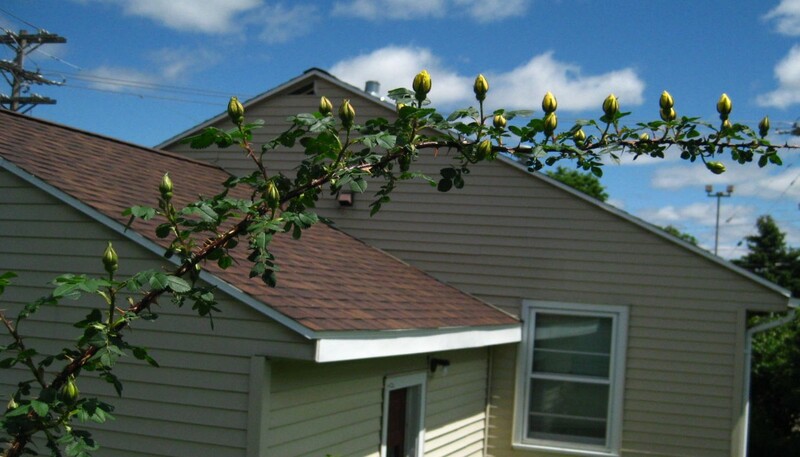 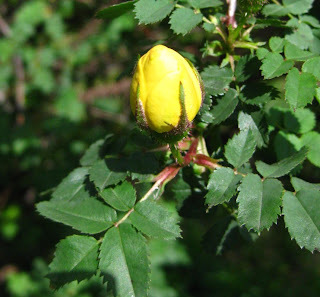 The cool damp weather in Minnesota in early June has slowed its growth.